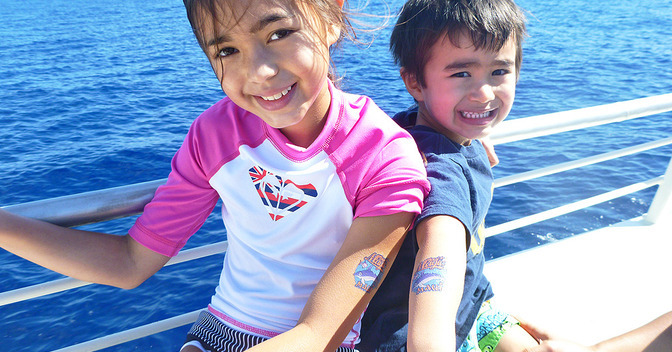 Once we welcome you aboard, you become part of our family of fun-loving adventure seekers! cookin’ up a yummy bbq! 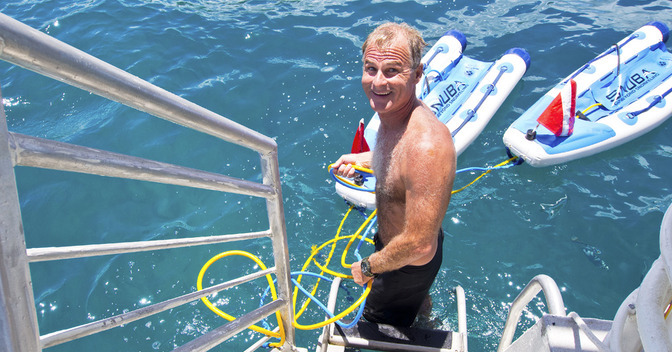 We know that there are plenty of snorkel tours that you can choose from here on Maui. 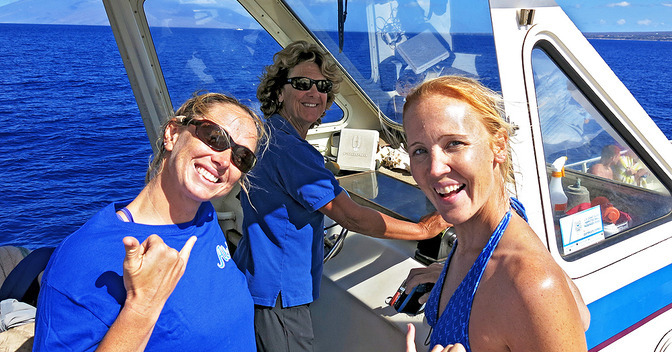 But what sets the Maui Magic apart from so many of the other excursions is, quite simply, our crew! The captain and crew of any tour you take really influences how much you’ll enjoy your trip. Plain and simple! They set the tone for the day. You’ll find our crew to be upbeat, helpful, and ready to have a good time. They want to enjoy the day and make the most of it, just as you do. Our captain and crew go out of their way to get to know you on a first name basis. 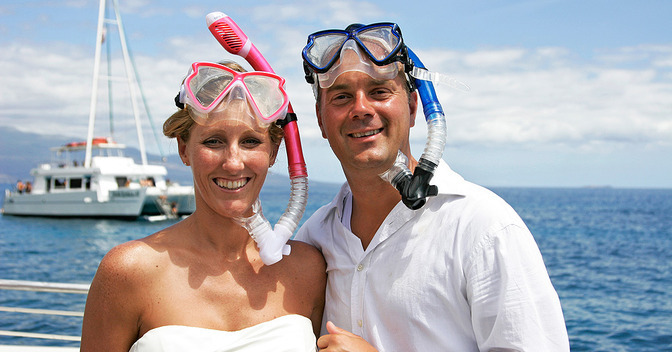 They make you feel safe and comfortable, fit you up with all your snorkel gear. They give you a crash course in oceanography, and point out all the marine life to you. 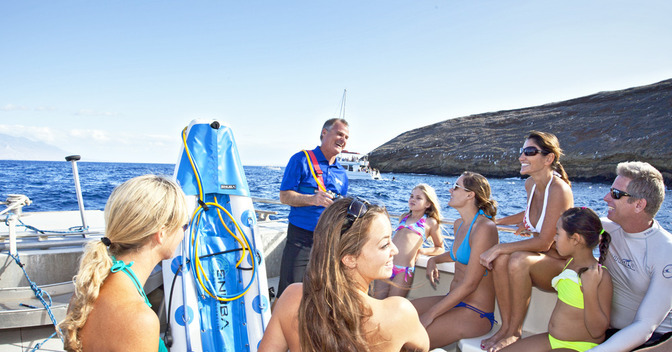 FIRST TIME SNORKELERS are given extra instruction and encouragement. EXPERIENCED SNORKELERS are given tips where to look for special critters underwater and how to take the best underwater photos. 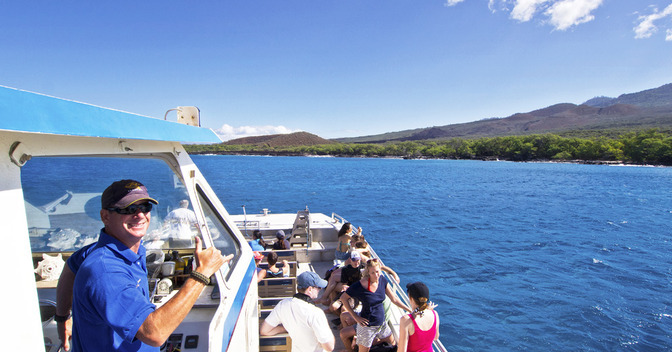 Much of our business is about repeat customers or those whose friends have insisted that they choose the Maui Magic for their snorkel tour. We have couples and families that come out year after year with us because they enjoy our crew so much. In fact, our crew even gets Christmas cards from some of them. When they call in to make their reservations, they always ask as to who’s going to be working that day! Just let a crew member know what you need, and voilà! You have it! 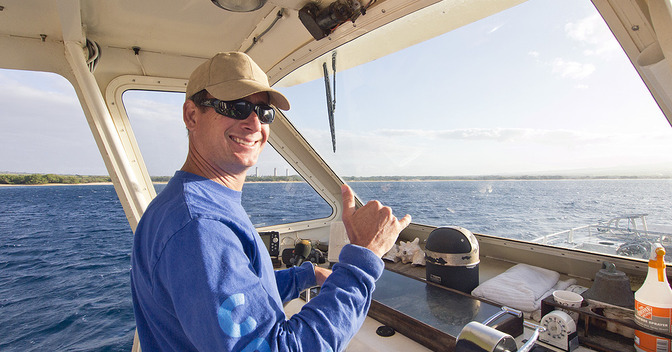 From fish and marine life facts to snorkel advice and Maui legends to the rich history of Hawaii... our crew is EXTREMELY KNOWLEDGEABLE and is happy to share their island with you. And that goes beyond the boat! Want to get recommendations on the best beach or restaurant? 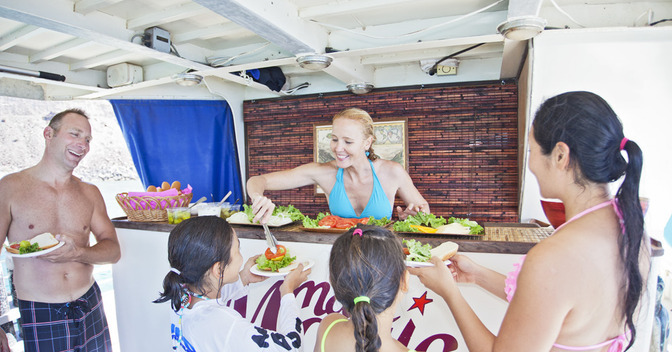 Ask away and they’ll be happy to share their knowledge of the island and all its amenities with you. 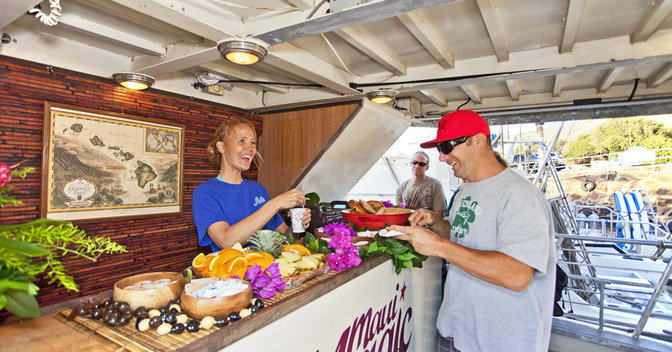 You’ll more than likely wind-up making a Maui new best friend aboard the Maui Magic! 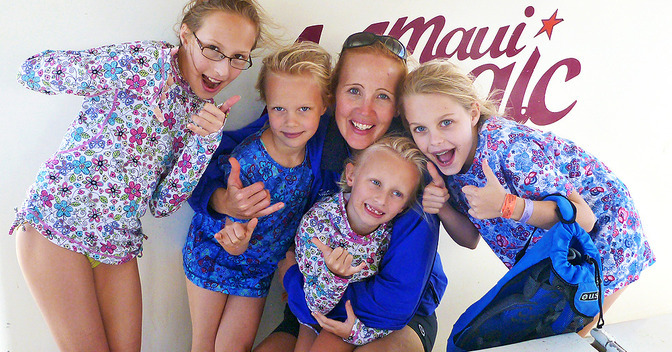 When you cruise with Maui Magic, you become a part of a very special extended family. And in Hawaii, that means YOU BECOME OUR OHANA. 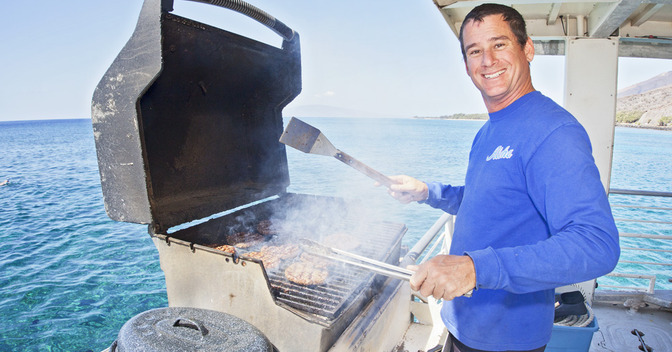 Our crew will treat you to fun, endless smiles, lots of laughter, plenty of adventure, excellent service and more. But first and foremost, we treat you with aloha, care and respect! 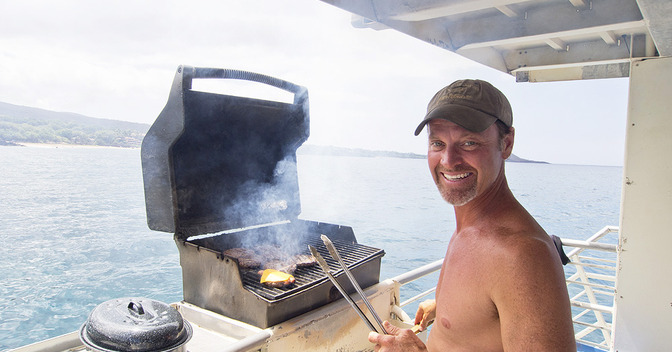 From the moment you are welcomed-aboard you join a fun-loving group of adventure-seekers and will immediately feel the true “spirit of aloha” that is perpetuated in everything that we do! But enough of us patting our crew on their backs. What really matters to our crew is what our guests think and say. 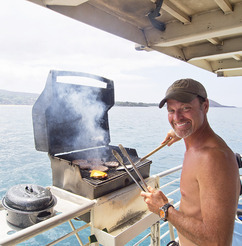 Just read some of the recent reviews and see what those that have adventured with us have to say about the Maui Magic and her crew. The accolades and mahalos really say it all!